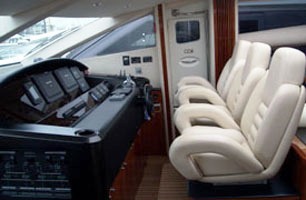 Luxury Sunseeker motor yacht ILE BOHEMIEN boasts 2 Double and 1 Twin stateroom. Her Master Cabin is located aft with a double bed, flat screen TV, DVD/CD surround sound system, walk-in wardrobe and en suite shower. 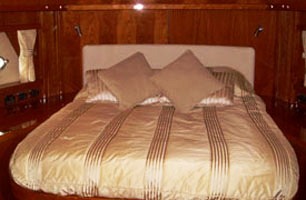 The Forward VIP Cabin also has a double bed plus a flat screen TV, DVD/CD - two speakers with en suite shower. The Guest twin cabin with single bunks is located on the Portside with flat screen TV, DVD/CD - two speakers with en suite shower. 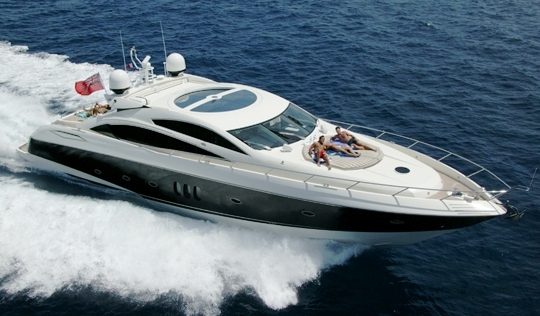 A special feature of luxury Sunseeker ILE BOHEMIEN is her sunroof that opens to the sun or night time stars in the shape of a half moon. 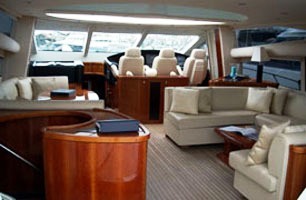 The dining table in the salon seats 6 guests and it is easy to view the Captain manoeuvring this speedy yacht from prime position in the salon .The Sunseeker charter yacht ILE BOHEMIEN can reach impressive speeds of 26-35knots thanks to her twin 1676 CATERPILLAR engines. 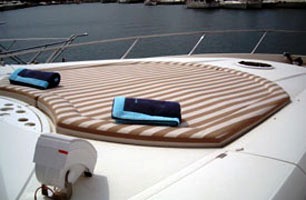 The yacht ILE BOHEMIEN features a sunbathing area forward on the forepeak as well as a sun pad and seating on her aft deck. 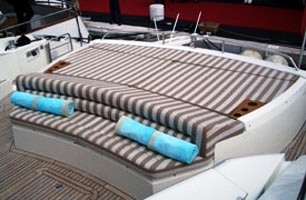 The yacht has a hydraulic swimming platform for easy access to the warm waters of the Mediterranean Sea. 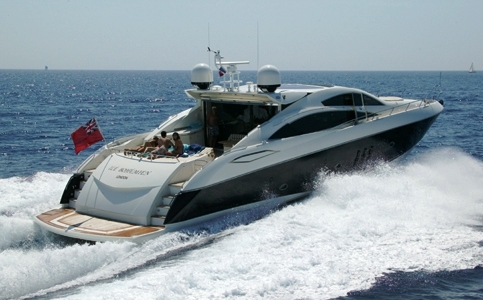 Luxury Sunseeker motor yacht ILE BOHEMIEN features 2 Double and 1 Twin stateroom. 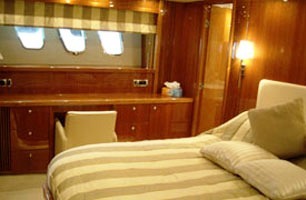 Her Master Cabin is located aft with a double bed, flat screen TV, DVD/CD surround sound system, walk-in wardrobe and en suite shower. 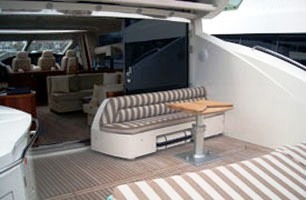 The Forward VIP Cabin also has a double bed plus a flat screen TV, DVD/CD - two speakers with en suite shower. 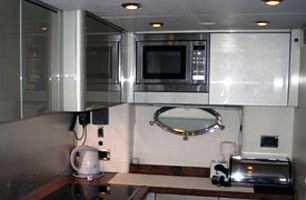 The Guest twin cabin with single bunks is located on the Portside with flat screen TV, DVD/CD - two speakers with en suite shower. 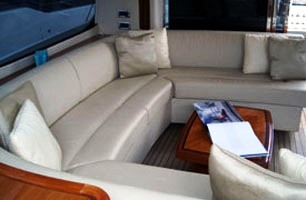 Motor yacht ILE BOHEMIEN has a RIB tender Williams 385, Flat Screen television, DVD and CD player in all cabins and Surround sound system in the Saloon and Aft Master cabin.